Located off the beaten path on Barksdale Circle, Palumbo Family Vineyards & Winery is committed to producing handcrafted wines from estate-grown grapes that proprietor Nick Palumbo believes are ideally suited to Temecula Valley. The 13-acre family-run winery is often described as “boutique,” but Nick favors the term “artisanal” to describe the involvement and passion that goes into their daily operations, from the vineyards to the tasting room. For Nick – a grape grower and winemaker who is both an artist and a cultivator – it’s all about the wine… beginning with the vineyards. The family’s 13 acres are planted to Cabernet Sauvignon, Cabernet Franc, Merlot and Sangiovese; they recently planted a block of Viognier and Syrah on a neighboring property to expand their wine portfolio. 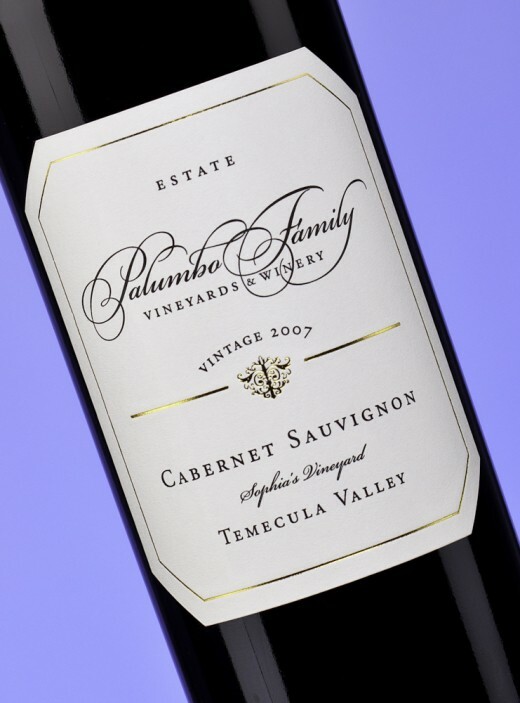 Specializing in full-bodied reds, Palumbo winery offers both single-varietal bottlings as well as a few special blends, like the popular Meritage, “Tre Fratelli” and the Shiraz/Cabernet Sauvignon, which help round out the wine list and showcase the versatility and depth of quality for which Palumbo wines are known. “I believe there are only two basic ingredients in making fine wines: the fruit itself and the barrel it’s aged in,” Nick is fond of saying. Nick and his wife-and-partner-in-crime, Cindy, live on the winery property, which makes their vineyards as much a part of the family as their four children. This intimacy with their vineyards has given the pair a “sixth sense” that enables them to intuit what the vines need, how the fruit is developing, and what will ultimately be required in the cellar to produce stellar wines. 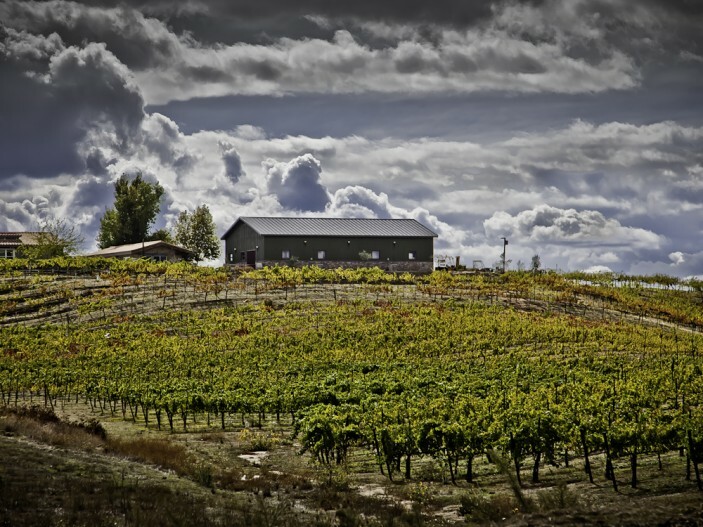 The family is also invested in their estate for the long haul, practicing sustainable farming as a member of the California Sustainable Winegrowing Alliance, which they believe will protect the viability of their vineyards for generations to come. Click here for the tasting room wine line-up! 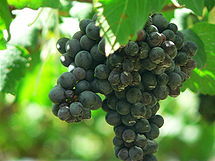 Get out of the tasting room and into the cellar to learn what makes Palumbo winery so special. 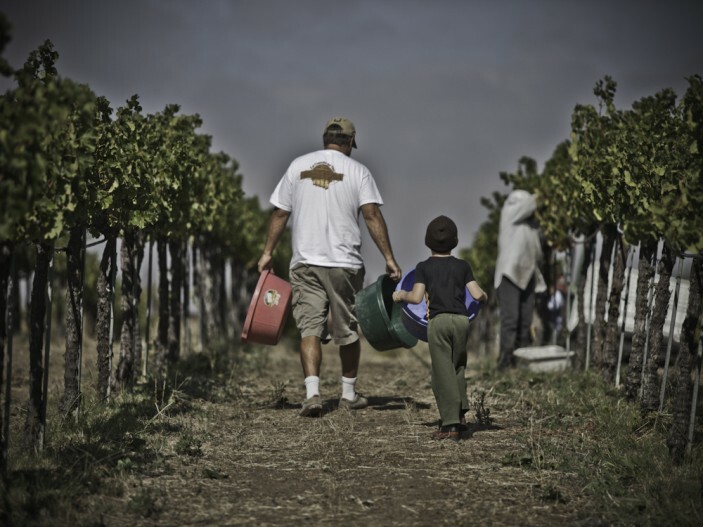 A member of the Palumbo family will guide you through the “Dirt to Bottle” process touching on all aspects of production, from their sustainable farming practices to the art of hands-on winemaking. Standard tasting and logo glass included. Tours available by appointment. This VIP tasting experience is the ultimate way to discover the stylistic influence of winemaker, Nick Palumbo, as well as the natural influence of Temecula Valley terroir. Guests will be taken on a tour of the estate vineyards followed by a private barrel tasting. To top off the experience, guests will enjoy a special wine pairing and gourmet picnic lunch with Nick on the Palumbo patio overlooking the vineyard. Four-person minimum with 48-hours advance reservation required.